Like many families in Mount Meigs during the early 1900's. The Lowe family moved to Birmingham for work. Lavenia/Luvenia brought her sister along after her mother's death. Herbert/Hubbard Lowe was a miner. 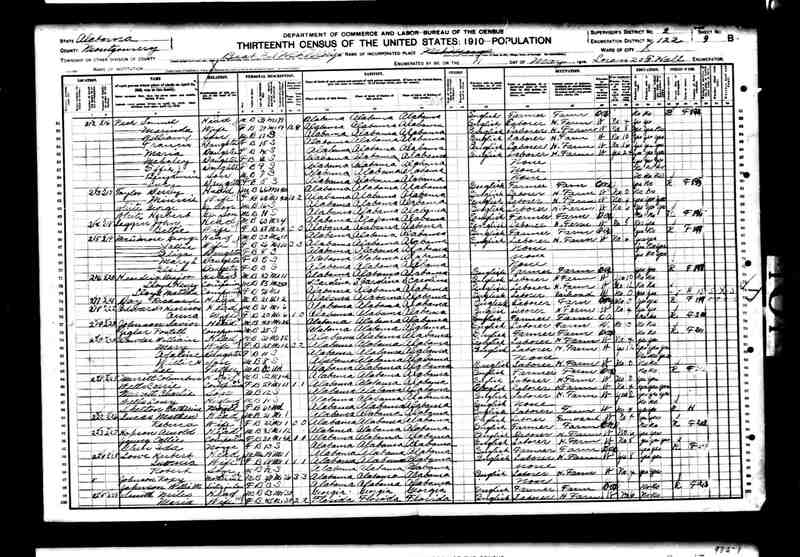 [S-2137537696] 1910 United States Federal Census, Ancestry.com, (Online publication - Provo, UT, USA: The Generations Network, Inc., 2006. For details on the contents of the film numbers, visit the following NARA web page: NARA.Original data - United States of America, Bureau of the Census. 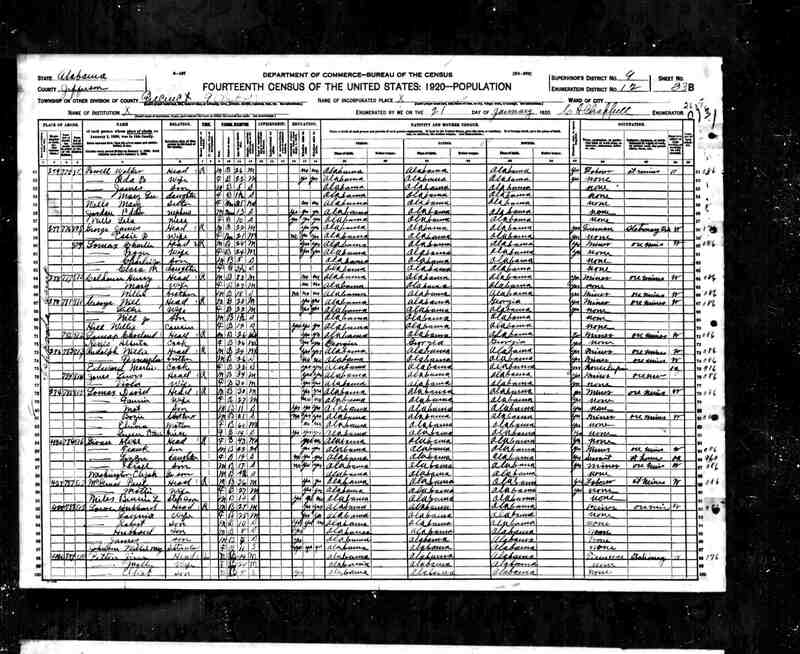 Thirteenth Census of the Unit), Year: 1910; Census Place: Mount Meigs, Montgomery, Alabama; Roll: T624_28; Page: 9B; Enumeration District: 122; Image: 898. [S-2137537704] Social Security Death Index, Ancestry.com, (Online publication - Provo, UT, USA: The Generations Network, Inc., 2009.Original data - Social Security Administration. Social Security Death Index, Master File. Social Security Administration.Original data: Social Security Administration. Social Security), Number: 417-68-6244; Issue State: Alabama; Issue Date: 1965. 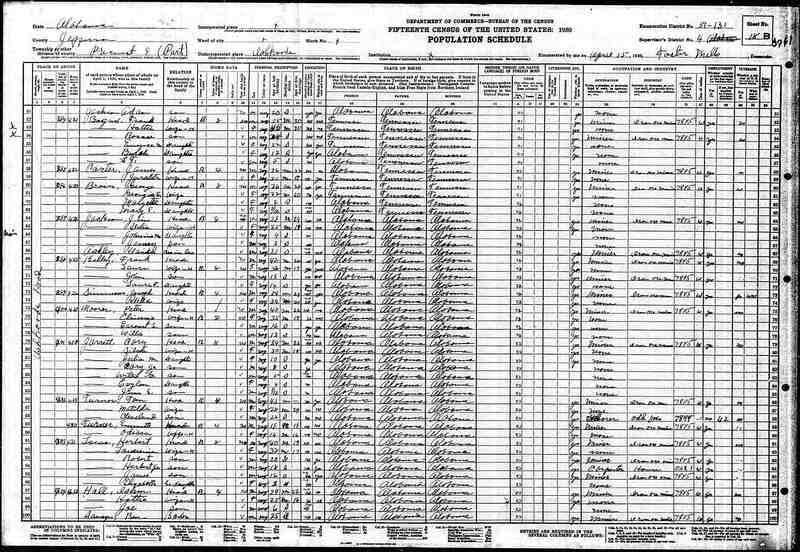 [S-2134050184] Alabama Death Index, (Ancestry.com). I suspect that Luvenia a Herbert Divorced and she went back to her Maiden name. SSI Reports she Died 1974 as a Johnson.  [S681225958] Alabama, County Marriage Records, 1805-1967, Ancestry.com, (Ancestry.com Operations, Inc.). [S-1094709134] Alabama, Select Marriages, 1816-1957, Ancestry.com, (Ancestry.com Operations, Inc).